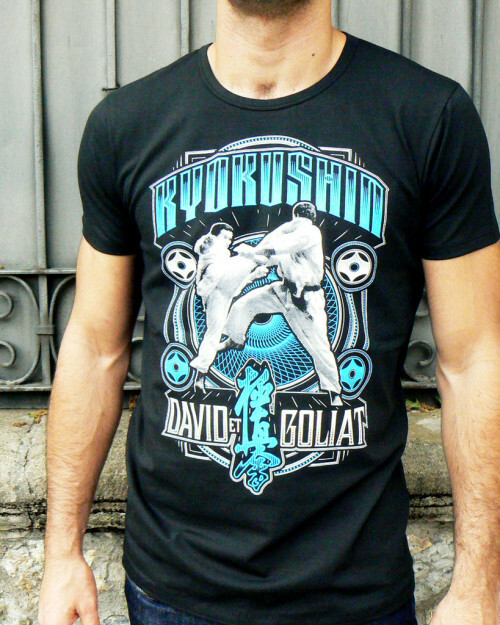 Black T-shirt with martial arts Kyokushin illustration in blue and white. 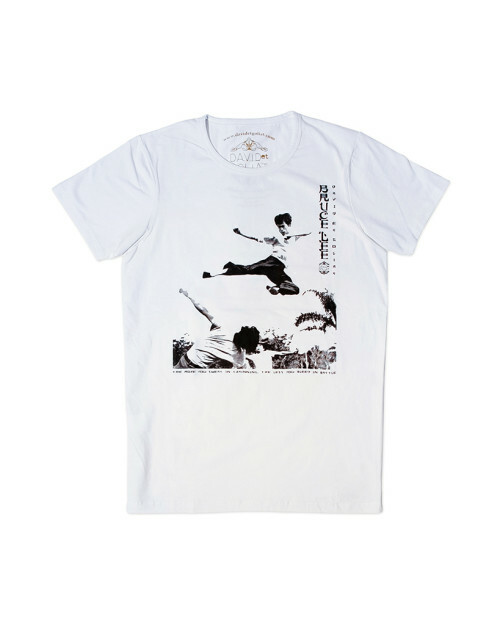 White T-shirt with image of Bruce Lee and his famous flying kick. Composition 90% Cotton - 10% elastomer. 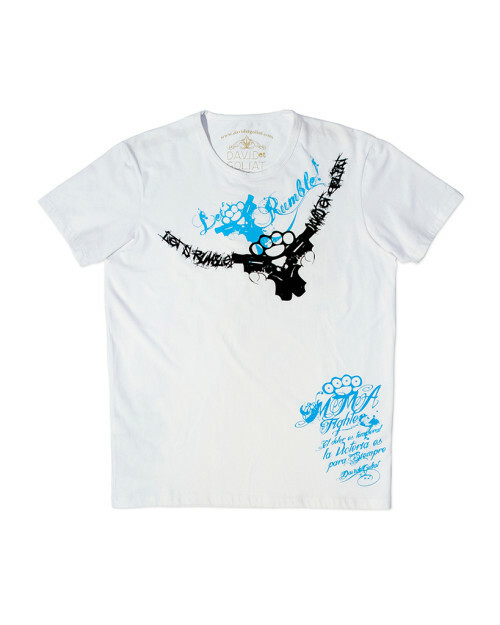 White shirt with red letters BOXING, with the legendary phrase of Muhammad Ali, "Float like a butterfly and sting like a bee" brand and logo. Top with black stripes. Composition 90% Cotton - 10% elastomer. 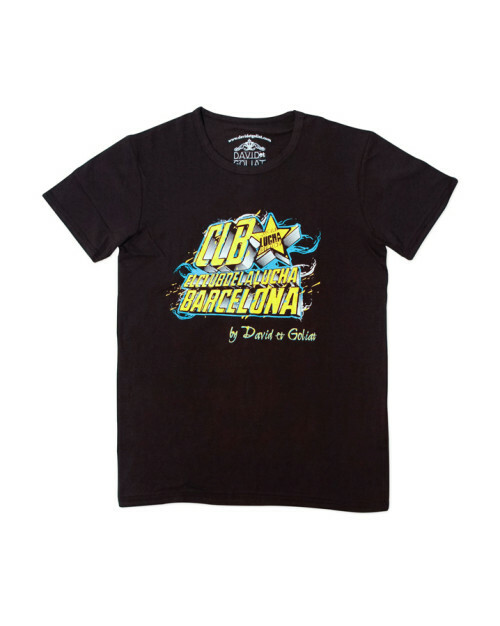 Black T-shirt design with black belt "Black belt", forming the brand name. 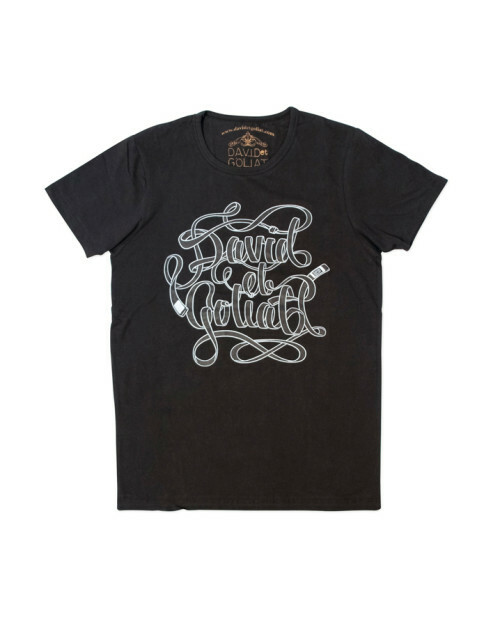 Composition 90% Cotton - 10% elastomer. 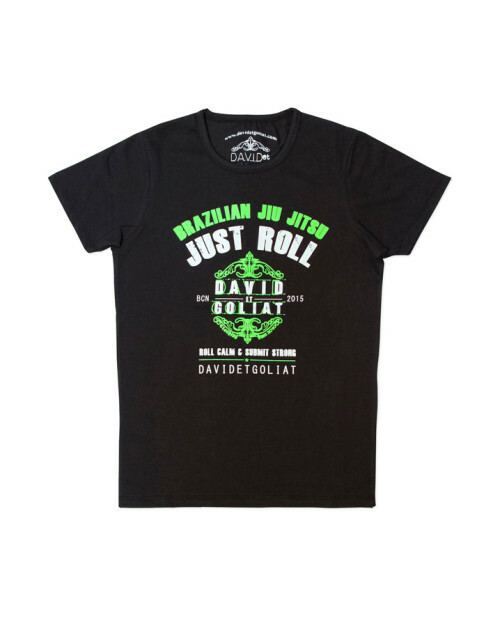 Black T-shirt Brazilian Jiu Jitsu "JUST ROLL -Roll calm, submit strong" brand and logo, in green and white fluoride. Composition 90% Cotton - 10% elastomer. University type jacket sleeves and black with charcoal gray colored inner hood. 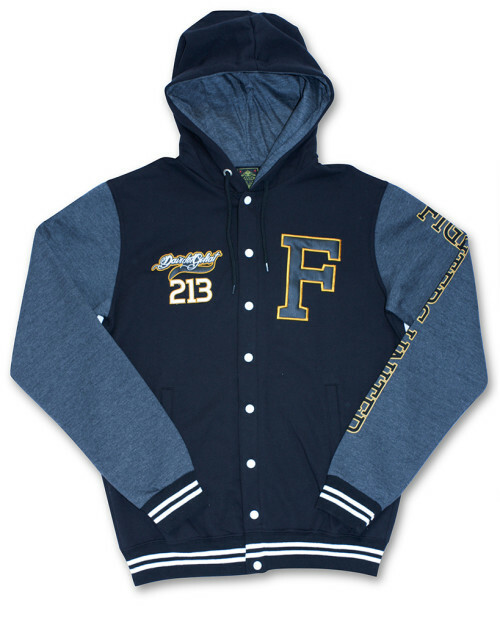 Embroidered on the front of David et Goliat 213 and letter F with imitation leather and embroidered apply. 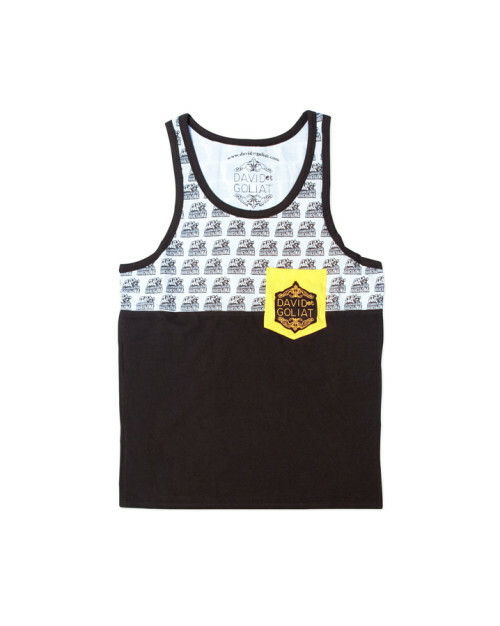 On left sleeve FIGHTERS UNITED printing two inks, non-embossed black and gold color profile. Closing brackets and independent pockets. Composition 50% Cotton - 50% Polyester. Black sweatshirt with front embossing two colors white and turquoise. Hood lining turquoise blue. Front pockets. Moreover embroidery on left sleeve 213. 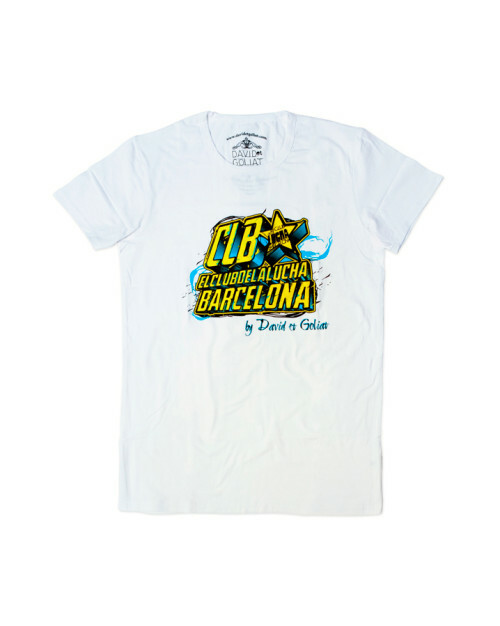 David et Goliath Composition 50% Cotton - 50% Polyester. 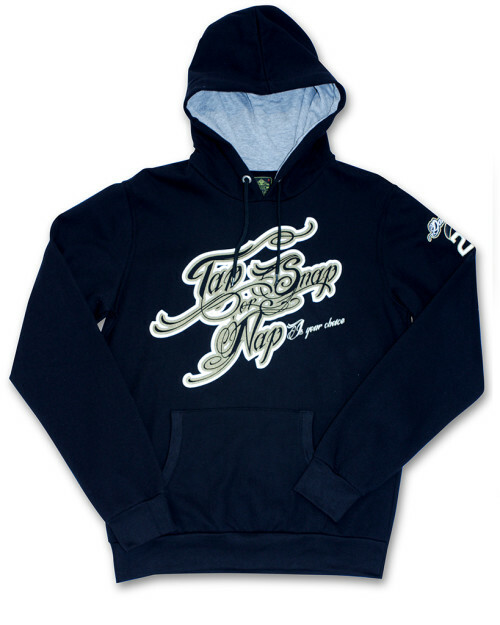 Black sweatshirt with front white and gold stamping phrase known among practitioners of MMA, Grappling, BJJ. "Palmea, creaks or sleep, you choose." Interior gray melange hood. Front pockets. Moreover embroidery on left sleeve 213. 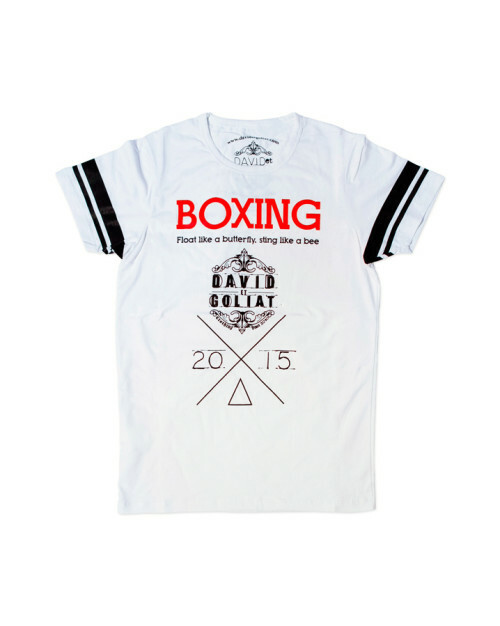 David et Goliath composed of 50% Cotton - 50% Polyester.